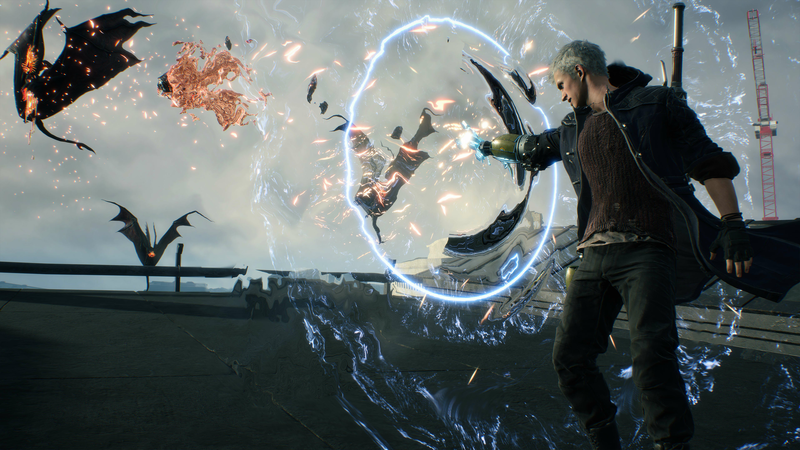 Become a demon hunter and save humanity in Devil May Cry 5. 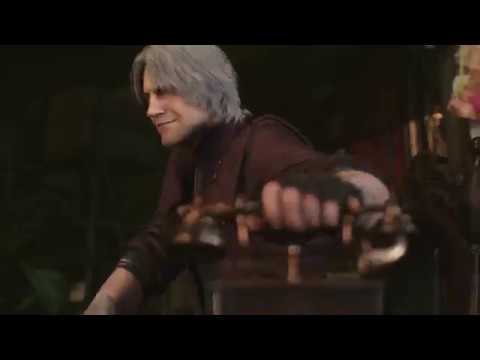 It has been 10 years since Devil May Cry 4, and it’s time to destroy the demons before their invasion wipes out humanity. 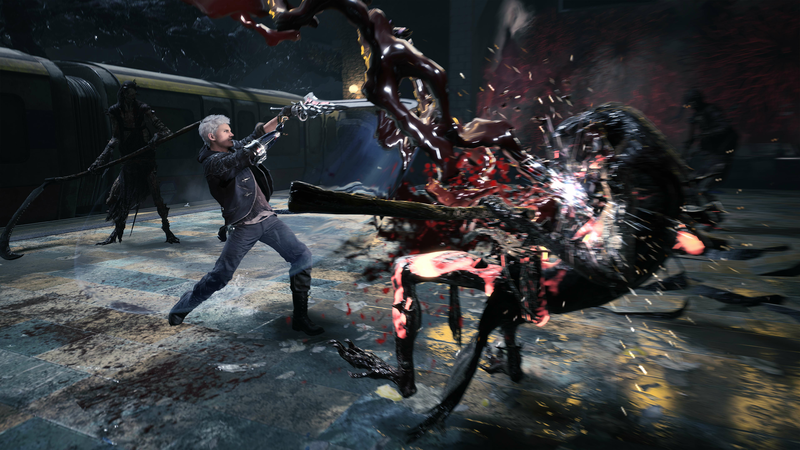 Choose to play as one of three demon hunters: Dante, Nero and a mystery figure as you attempt to take down the demonic invasion and restore safety in Red Grave City. 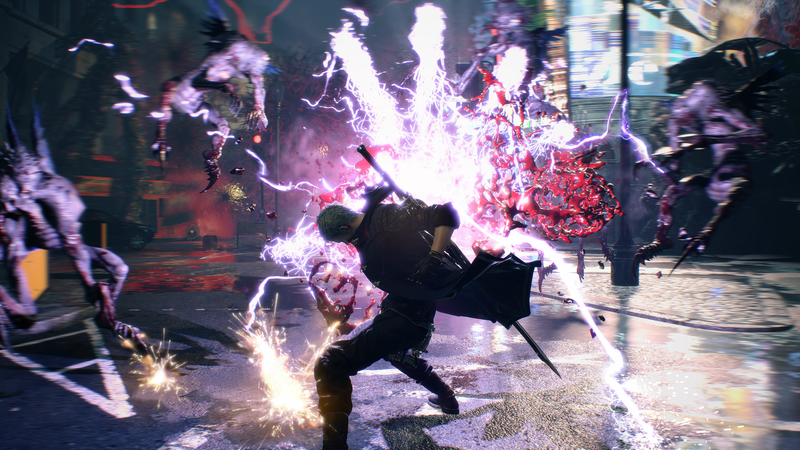 With hellish demons to kill complimented with dynamic combat, Devil May Cry 5 will test both beginners and pros of the series. 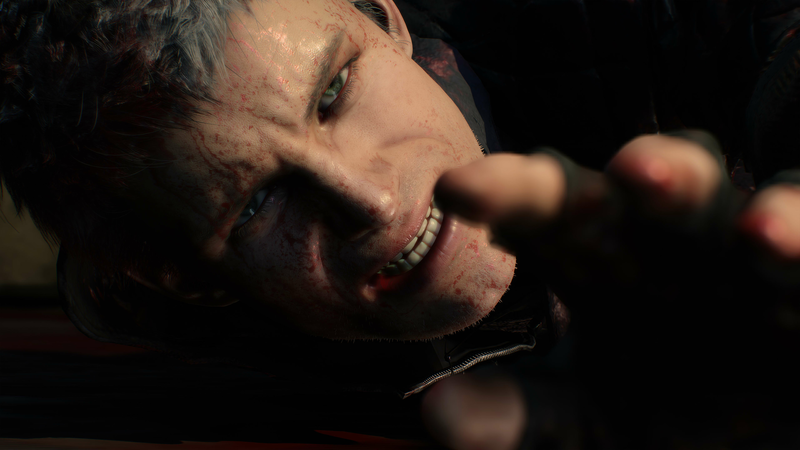 The ground-breaking graphics will utilize the realistic character design and incredible environmental effects, this game will not fail to impress. Join the young demon hunters to save humanity! 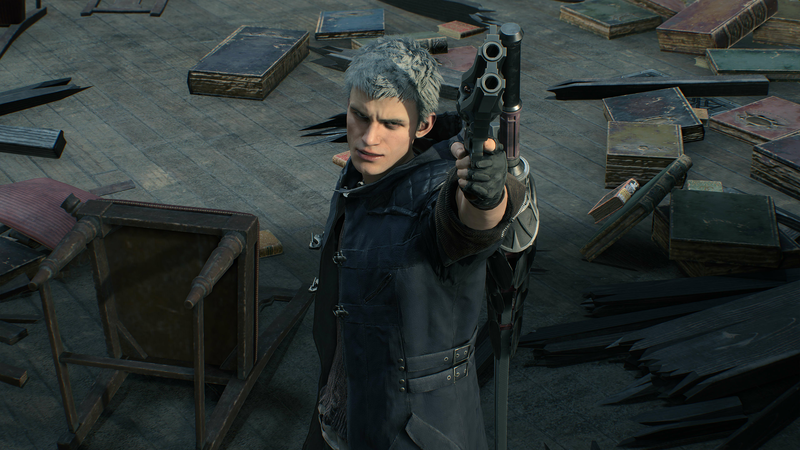 Are you prepared to restore order in Red Grave City? 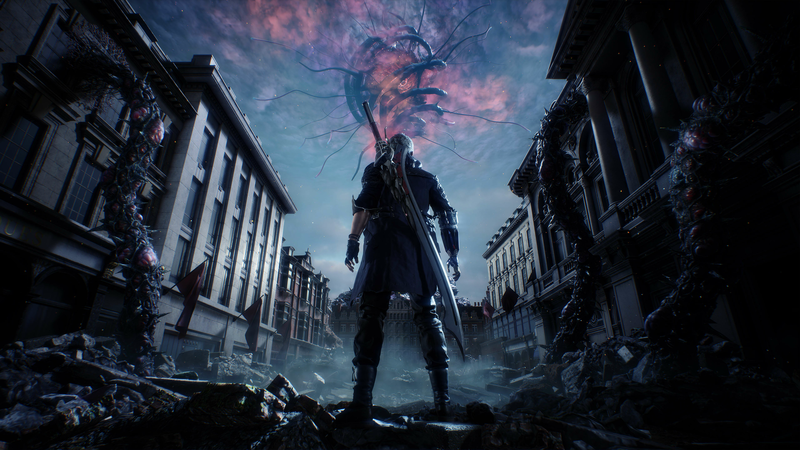 You might have thought the invasion was over, but it’s only just begun in Devil May Cry 5. 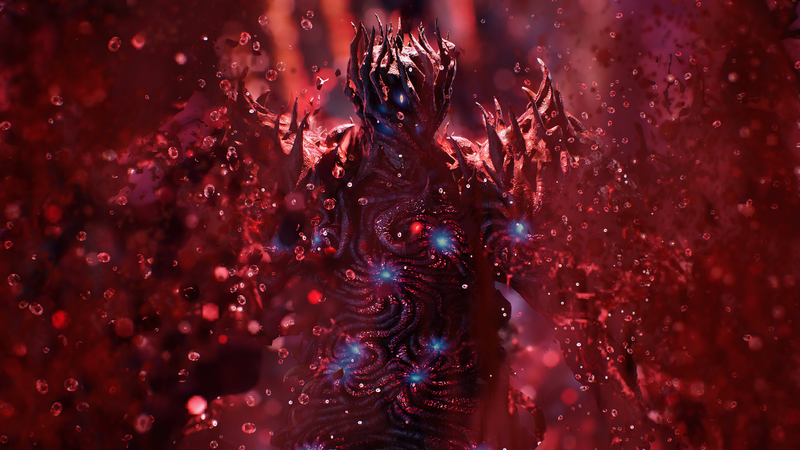 The seeds of a “demon tree” have taken root in Red Grave City and caused devastation with a hellish onslaught of demons wreaking havoc. 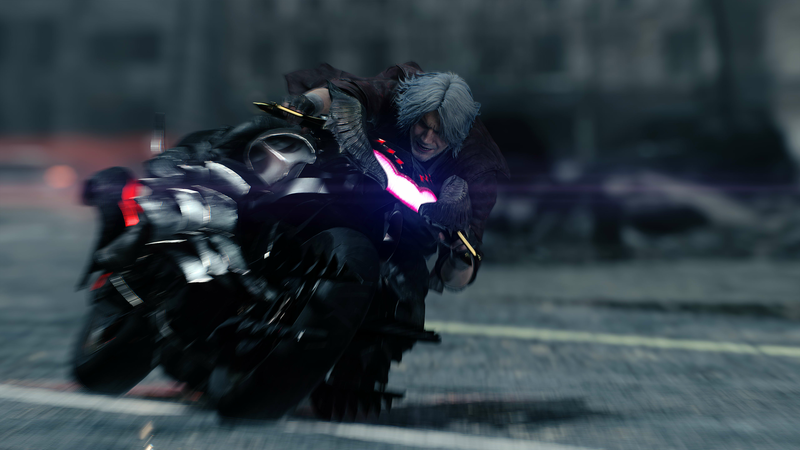 The chaos attracts the attention of Nero, who heads to the city to face the dangerous demons with his new partner-in-crime, Nico. The supernatural family drama continues as Danta seeks revenge for his brother’s corruption and mother’s murder. 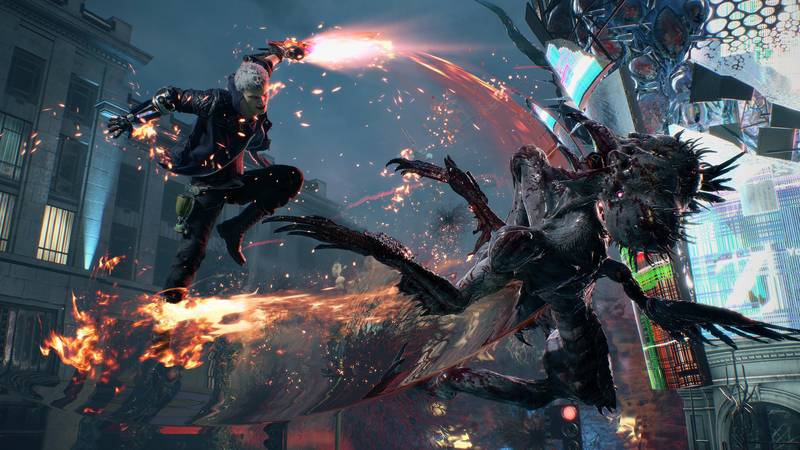 Devil May Cry 5 features three playable characters each with a different play and combat style as they take on the city overruled with demons. 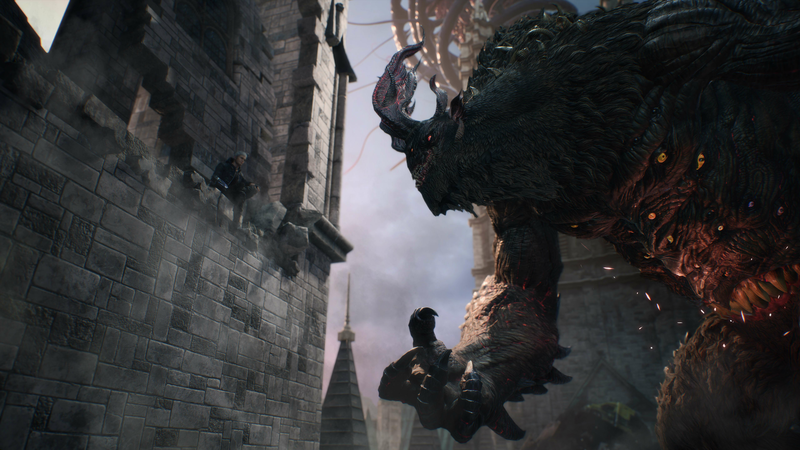 The young hunters must take down the epic bosses in incredible fights across Red Grave City. The series takes graphics to another level with stunning lighting and environmental effects. 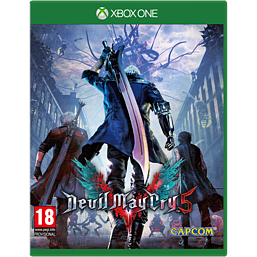 The demon hunters are united by fate a thirst for vengeance, they will have to face danger and hope they survive in Devil May Cry 5.